Wildly Delicious Lemon Curd is a rich, tart, velvety spread made with bright lemons. It can be spread on scones, toast, and other foods, and it may also be used as a filling for desserts such as cookies, tarts, and pies. 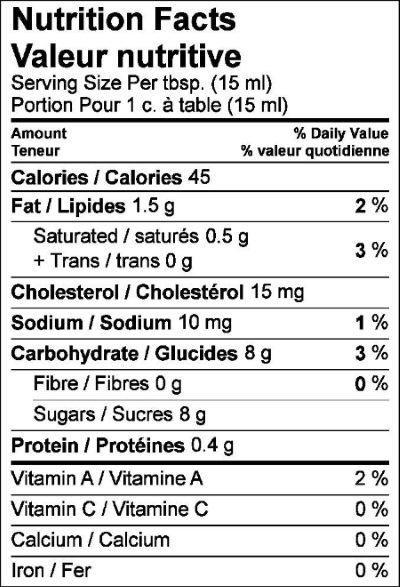 Ingredients: SUGAR, WATER, LIQUID EGGS (WHOLE EGGS, CITRIC ACID), BUTTER (CREAM, SALT), LEMON JUICE CONCENTRATE, TAPIOCA STARCH, LEMON OIL. 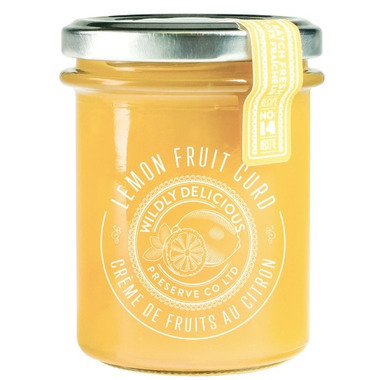 This is a real good tasting lemon curd,slightly overly sweet but very smooth and no weird aftertaste.Ingredients wise its pretty healthy no chemicals added or additives. It tastes like eggs with a hint of lemon. Definitely not how lemon curd should taste. So nice to find this. It tastes close to homemade. Taste really good,slightly on the sweet side but goes on smooth.No aftertaste like some people mentioned. I had to toss this after taking one taste. It was oddly metallic. I'm not sure if it was, but I thought it might be off. Was my first time trying this food brand, and I don't think I'd buy anything else from them based on my experience. Too sweet for my taste but otherwise very good. Amazing stuff - FINALLY found a real lemon curd (one that doesn't taste like lemon jelly or have a weird mouth feel from too much starch doing the thickening work). Great price, too!